Misbehavior results in negative outcomes. Dr. John Rosemond, the author of The Well-Behaved Child, calls this the ‘Backatcha Principle,’ meaning when you do something bad, something bad will happen to you sooner or later. We recognize this as adults after seeing consequences for some of our poor choices, but our kids’ consciences are not yet fully developed. In chapters three through five of The Well-Behaved Child, he presents seven different consequence-based approaches that revolve around this premise. These tools help address consistent misbehavior for children between the ages of three and thirteen, which he refers to as the “Decade of Discipline.” He has written other books, Making the Terrible Twos Terrific! and Teen-Proofing regarding children outside this decade that I will look into when I have three teenagers in my house because yikes. 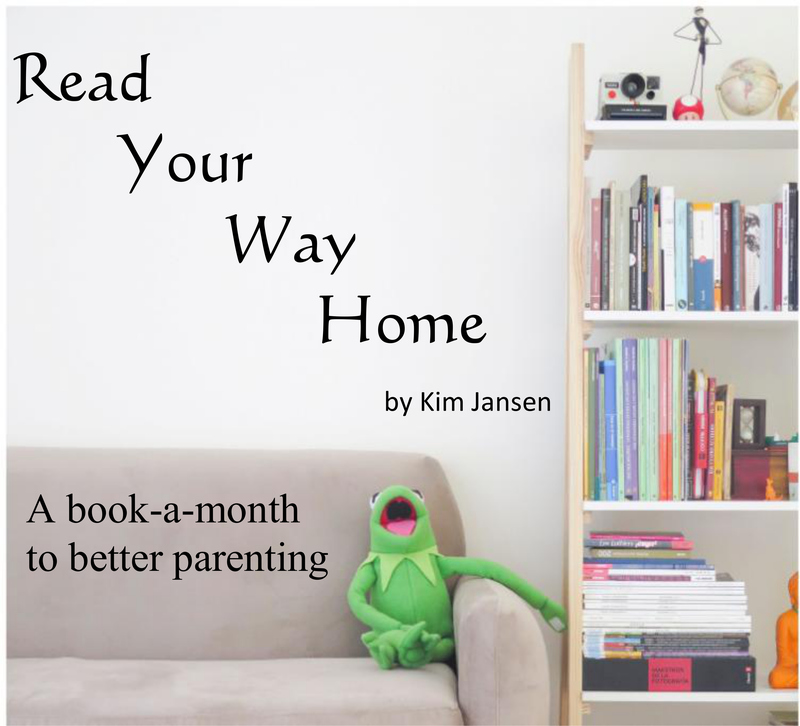 These chapters include many examples of parents using compelling consequences to effectively help their children behave better. Rosemond also includes several examples of consequences he used on his own children. When his now forty-something-year-old son, Eric, was two weeks into fifth grade, he received a call from his teacher saying he had not completed a single assignment. As soon as Eric got home, his parents told him they weren’t going to start checking his homework because that’s his responsibility, but they expected him to fix it before his report card in seven weeks. His report card, as they expected, showed he was failing every class. They told him because he didn’t solve the problem, now they had to get involved. He would be in his room for a month unless he was at school, at church, using the bathroom, eating a meal or going somewhere with them, or doing chores. He would also go to bed at seven o’clock every night. In a month, they would meet with his teachers and if there was still a problem, he would be in his room for another month. Sounds harsh, right? Rosemond and his wife gave their son a compelling consequence that put the problem on their child’s back rather than theirs. Had they decided to make sure he did his homework every night, check it, and go over it with him, Rosemond argues, the problem would’ve been on their backs. Four weeks later, they met with his teachers who unanimously said that he’d been a completely different child since the last appointment. By choosing compelling consequences and making an offer he couldn’t refuse, they gave their child the motivation to solve his problem. 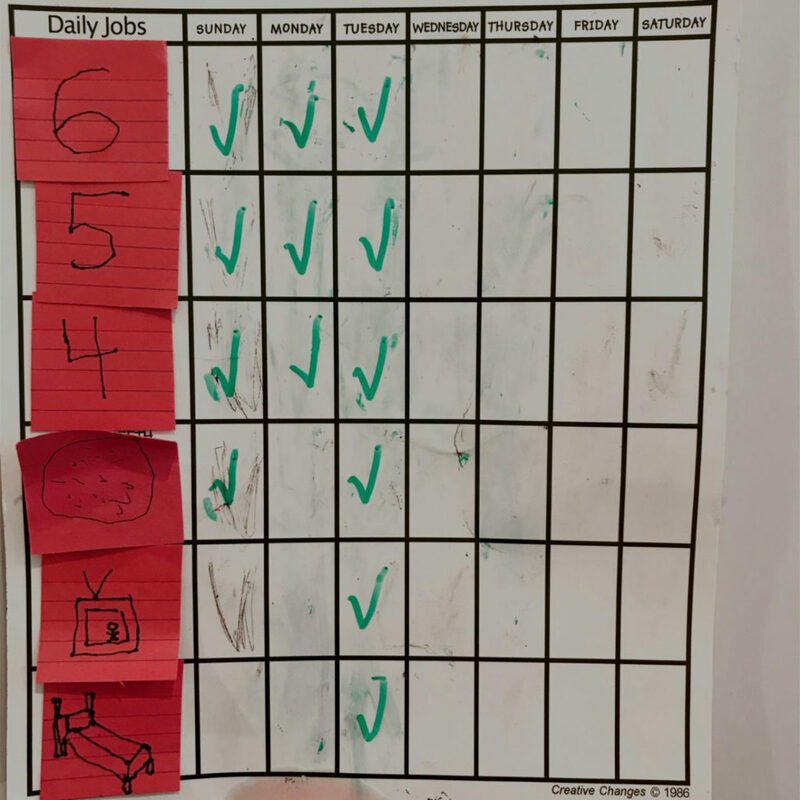 When my oldest two girls were three and four, I used one of the tools he recommends, charts, to try to eliminate a perpetual problem in our house, whining. I made a six-block weekly chart (pictured below) where the first three blocks are “free” checks and blocks four through six had pictures of privileges they lost if they were checked. I told them, “A new sheriff is in town,” as I explained what the new consequences would be for whining. Using this approach, Rosemond recommends privileges be ordered so that the first privilege lost allows the child the greatest degree of freedom. When I first made it, the girls were in preschool and the privileges were play outside, dessert, and go to bed an hour early. Since then, I’ve changed the privileges lost to dessert, screen time, and going to bed early. Each lost privilege further restricts their freedom until they are awaiting early bedtime. At the end of the week, I erase all of the checks and give them a fresh start. For me, using the chart to tally consequences allowed me to be more matter-of-fact and less emotional about misbehavior. Rather than flashing the distraught, “How many times do I have to tell you not to do this?! ?” old sheriff face, I grabbed the dry erase marker off of the refrigerator and calmly walked over to add a check. The distraught look was then on my daughter’s face as she thought about potentially going to bed an hour early if she dared to whine again. New sheriff for the win. Personally, I found that using the charts gave them a greater awareness of their misbehavior and a greater attempt to try to reign in the whine before losing another privilege. If your child has multiple behavior problems, Rosemond recommends dealing with no more than two to three distinct problems at one time and trying, to the best of your ability, to ignore misbehaviors that aren’t on the chart. As your children begin to master the program, you can add new misbehaviors to the chart, but no more than one at a time. 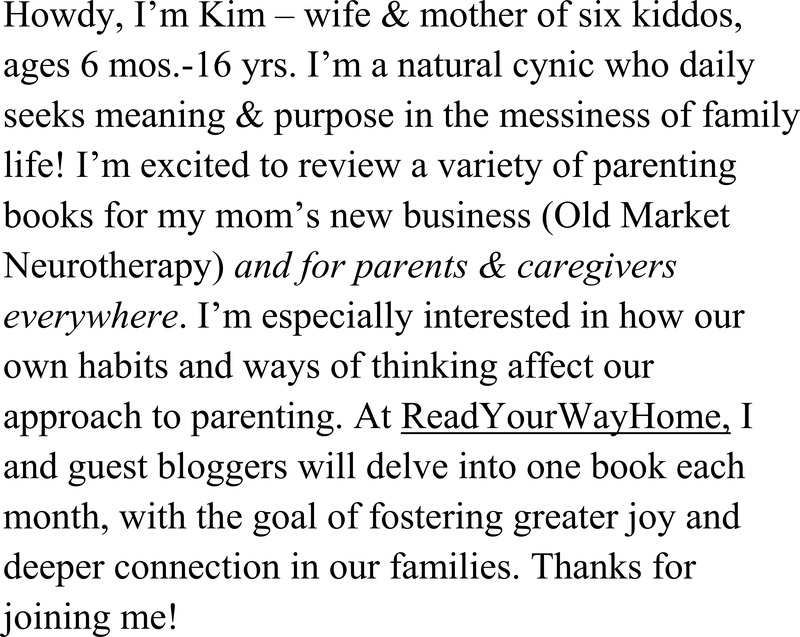 In the past month, I added “ignoring what mom asks you to do” and, well, let’s just say some privileges have been lost. Check out the book for six other consequence-based approaches you can tailor to your kids’ misbehaviors or ages. Whether you use charts, tickets, strikes or any of the other tools, you are taking yourself out of the equation and putting responsibility for solving the misbehavior on the children’s shoulders. Whatever discipline approach you use, being consistently intolerant of misbehavior is a tiring, but necessary, component of success. Stay tuned for my last post with Rosemond’s thoughts on consistency with a story of when my kids lost candy on Halloween.